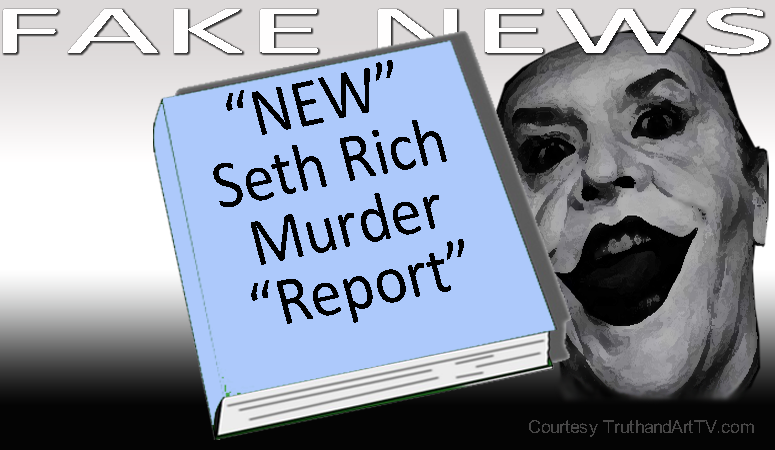 Psyop Alert: MSM Rolls Out Brand New Seth Rich Murder Claims Based On "83 Page Report"
Breaking: TWO Psyops In One Day- Check out this second Seth Rich murder psyop launched the same day (6-21-17)! The more we know about the murder of DNC staffer Seth Rich in July of 2016 and as more is revealed the more desperate the Hillary-Schultz-DNC deep state is getting. Today's development is another sign of a desperate attempt to create false evidence and brand new false claims to distract from the real investigation into the real killers of Seth Rich. No one following the Seth Rich murder by now should be surprised that today the deep state's mainstream media is rolling out a brand new psyop claiming that a "new study" by "volunteer" researchers at an independent research group called the "Profiling Project" just studied the Seth Rich murder and concluded that Rich was murdered by a "serial murderer " who is likely "still at large". A serial killer is likely behind the murder of Democratic National Committee (DNC) staffer Seth Rich, according to forensic psychology students and instructors who spent three months investigating the homicide. Those researchers, who volunteer at The Profiling Project, an independent group, published their findings on Tuesday in an 83-page report. The Profiling Project, based in Arlington, Virginia, consists of around 20 volunteers who are current and former George Washington University forensic psychology graduate students and instructors. The report states that Rich's July 2016 "death does not appear to be a random homicide" or "a robbery gone bad," as police had suggested. Instead, the report says, the "death was more likely committed by a hired killer or serial murderer," and that the killer is likely still at large. "The person folks [should be] looking for and considering isn't a robber who kills, but really is a killer, and maybe a killer that doesn't rob," says Kevin Doherty, a recent George Washington University graduate and one of the volunteers with The Profiling Project. "The fact that this person has gotten away with it shows a level of proficiency." This brand new unscientific report which amounts to propaganda to cover up a murder conveniently points away from this being a politically motivated murder. I suspect this is also an attempt to break away from the initial "official" claim that Rich was murdered in a random robbery attempt. This "robbery" claim of course was horrifically debunked from the start given that Rich had his wallet and valuables still on him thus I believe this new "study" claim has been cleverly designed by the attorneys looking to protect the deep state killers in order to break away from this now very painfully false narrative. In terms of motive it is easy to see that the damaging Wikileaks ultimately brought down DNC Chairwoman Debbie Wasserman Schultz whose laptop is under investigation. And it's easy to see that this investigation threatens to bring down many more within the DNC circle. All of this is typical in-your-face propaganda by the ruling elite and no one should believe these outrageous lies and totally non-scientific study and claims designed to distract people away from the real Seth Rich killers who are now running from the law. Don't kid yourself. The Seth Rich killers are doing this because they know the walls are closing in on them.